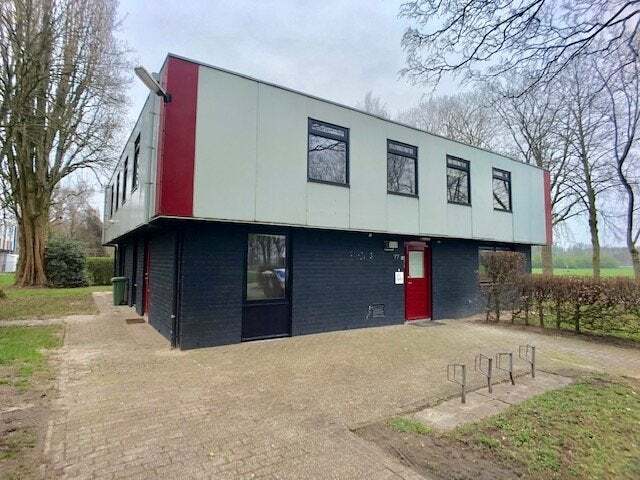 On the Scherpenkampweg in Nijmegen, a beautiful, quiet and wooded area with all amenities at a short distance, we offer various rooms for rent! These rooms have been renovated and are ready to be inhabited! This concerns a detached object with associated sheds and garden houses to be used for storage and bicycle storage. In the building with house number 77 are available for all 10 rooms in total: 4 showers, 4 toilets, 1 kitchen (with equipment) and 1 separate washing machine room with washing machine and tumble dryer. Every room has its own sink. On the ground floor there is also a recreation room for general use. Internet and T.V. is included in the price. The rental prices can be found in the accompanying floor plans. (basic rent + service costs) The amounts are incl. G / W / E, avg. charges, internet and T.V. Landlord: Stichting living together, focuses on a broad target group. That is why it is not only interesting for students but also for residents of all age groups, young people and baby boomers in the prime of their lives. Bringing people of different ages and lifestyles together under one roof creates an innovative and sustainable living facility that only enhances liveability, citizenship and involvement in society, where every resident feels like a full citizen and nobody has the idea that he or she is excluded. The Together Foundation strives to ensure that every resident can fully participate in society.